“We started test production in late May and have already produced several segments and complete rings in one of the production lines. 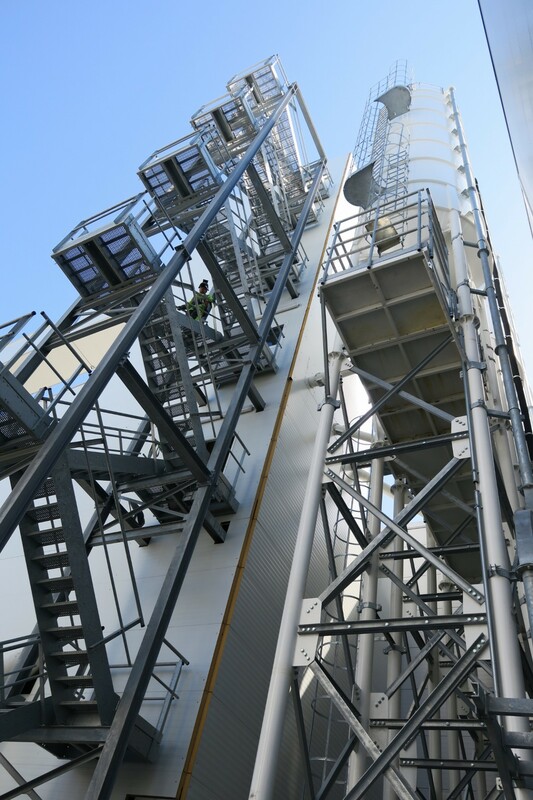 This factory is brand new and until now we have run different test and test production, but soon we are able to operate at full pace”, says Fernando Vara, Project Director at Acciona Ghella Joint Venture. 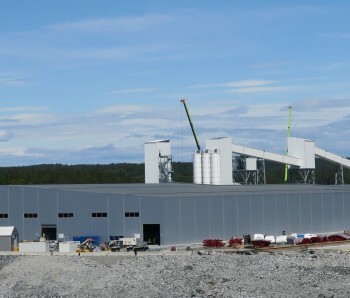 The factory itself consists of three different production lines, which will produce concrete segments for what will be the longest railway tunnel in Scandinavia. The first production line has started and the two others will be operational by the end of summer. 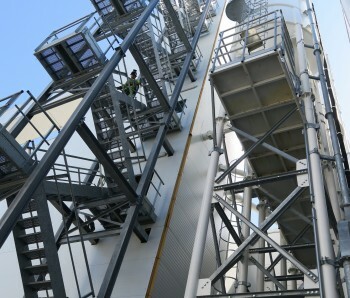 At the factory, there are also three concrete batching plants, aggregate handling systems, conveyors and gantry cranes. The entire factory area is about 20 000 m2. 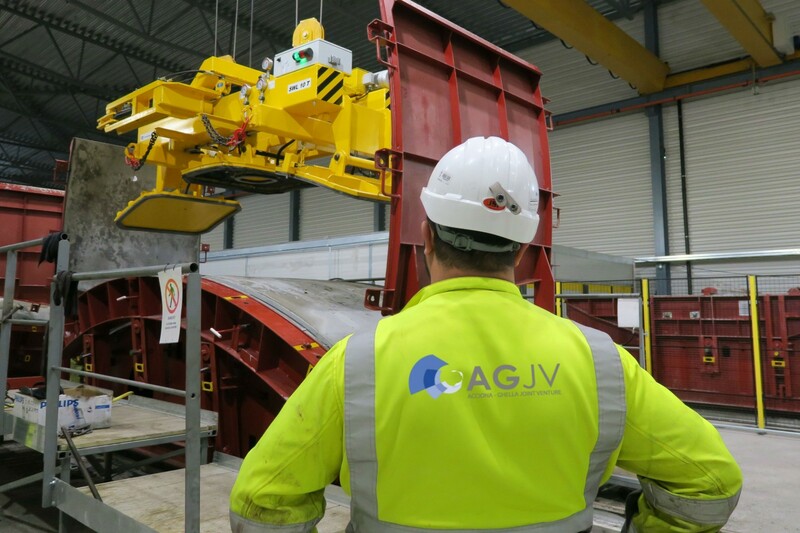 “The first tunnel boring machine (TBM) is expected to start boring towards Oslo in September this year, and all four is planned operational by the end of the year. 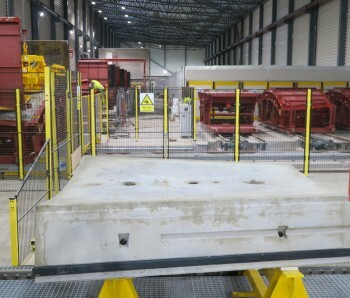 We start producing concrete segments now and this production will continue until the last TBM is finished”, says Mr Vara. Four tunnel boring machines will simultaneously bore 18.5 km, constructing the main part of the twin tunnels. Two machines will drill north towards Oslo and two will drill south toward Ski, with a base at Åsland in Oslo, Norway. 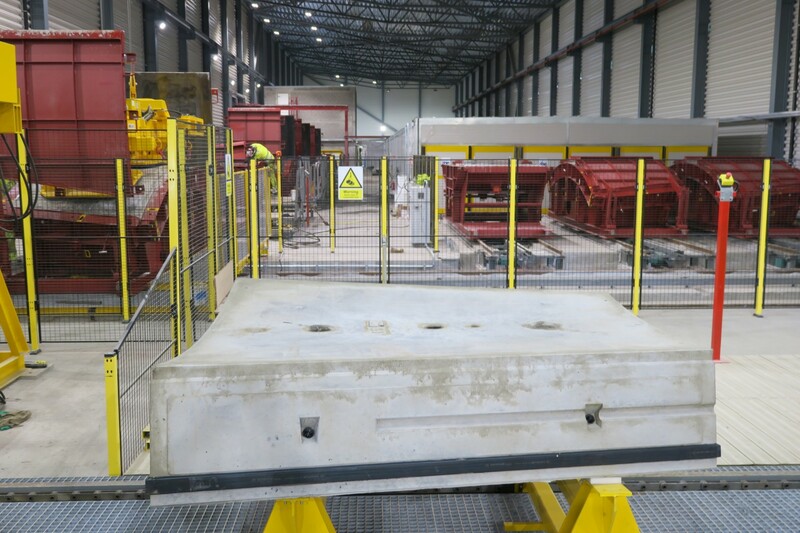 Each of these machines are planned to excavate about 12-15 m each day, and they will operate in the period between 2016 and the expected completion in 2018. 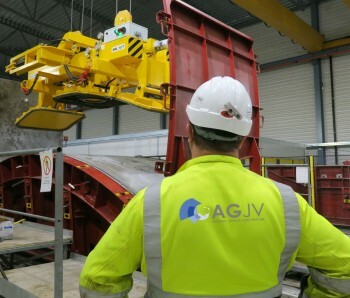 AGJV is commissioned by theNorwegian National Railway Administration (Jernbaneverket) to construct the main part of the 20 km railway tunnel. TBM-excavation diameter is 9.96 metres, and after concrete segments installation the tunnel itself will be 8.75 metres in diameter. 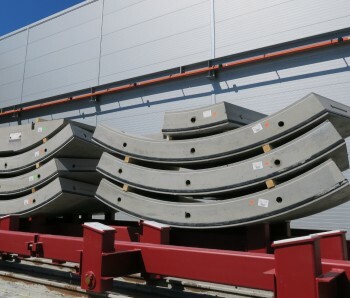 Seven concrete segments is needed to make one complete tunnel ring. 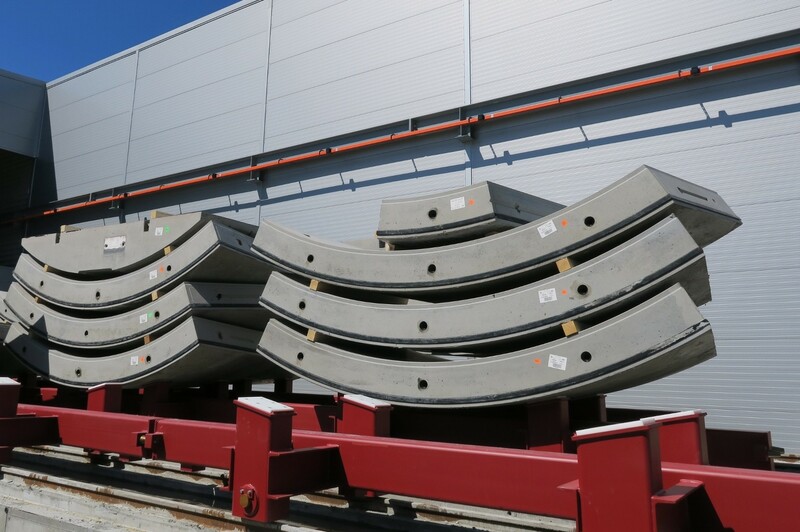 In total almost 20 000 complete rings, or 140 000 concrete segments, is required.